AMERICAN GIRL ENCOURAGES READING AND FUN WITH READ-A-PALOOZA™! American Girl's Read-a-palooza is here and ChiIL Mama's giving away 5 Great American Girl Books to kick things off in style: McKenna & McKenna Ready to Fly, Take the Challenge, The New Girl & The Cameo Necklace ($39.75 value). Enter here for your chance to win through 6/15/12! We were super stoked to get a package of new American Girl Doll books in the mail. There are some excellent new releases just out! We'll have a full set of book reviews (on the titles in red) in the near future. Here's a sampler of the new releases and where you can buy them, too. I was thrilled that my reluctant reader got super excited and engaged with the books and has been carrying them with her everywhere and devouring them. American Girl is committed to not only entertaining but educating girls and helping them grow intellectually, physically, and emotionally. This summer, American Girl is inviting girls and moms to discover the joy of reading while helping a great cause! Read-a-palooza provides girls with fun activities and incentives to inspire them to keep their reading skills sharp and encourage engagement in a variety of different literacy activities! In addition, Read-a-palooza will be contributing to Save the Children through a book purchase donation. Starting May 1 through September 3, $1 from every book purchased from American Girl will benefit Save's U.S. Literacy Program. For more than 25 years, American Girl’s award-winning books have helped millions of girls discover the joy of reading and have earned the trust of parents and educators. This summer, to celebrate books and encourage girls to keep their reading skills sharp while school is out, American Girl is introducing Read-a-palooza, a summer reading program created for girls ages 8 to 12. Packed with fun activities and incentives that encourage literacy, Read-a-palooza will run from May 1 to September 3, 2012, and also will include a charitable partnership with Save the Children’s U.S. literacy program. 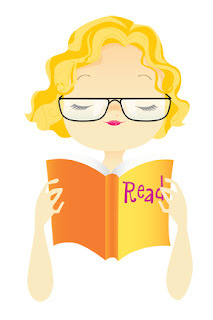 Click here to participate in Read-a-palooza. Girls can download colorful bookmarks and free book-related content, such as tips and materials for starting a book club. They’ll also be able to do reading challenges and take fun, interactive quizzes. Starting in June, girls can participate in Read-a-palooza by visiting an American Girl retail store, where free reading events will be offered all summer long. To further emphasize the importance of reading and to help a great cause during its Read-a-palooza campaign, American Girl is partnering with Save the Children’s U.S. literacy program. From May 1 through September 3, 2012, $1 of every book purchased through American Girl (up to a maximum of $100,000) will support Save the Children’s efforts to raise literacy rates in impoverished communities by providing basic education and equipping schools and teachers with reading materials. In addition, American Girl will make its third donation of books to Save the Children this fall, bringing the value of the company’s total book donation to nearly $1.5 million. For more information about Read-a-palooza and American Girl’s partnership with Save the Children click here. Remember to Check back in with ChiIL Mama like we vote in Chi, IL...early and often, and YOU could win ALL of the following awesome American Girl titles to get your summer reading off to a sweet start. When girls love to read...everyone wins! ChiIL Mama is celebrating READ-A-PALOOZA by giving away two McKenna books by Mary Casanova, McKenna and McKenna Ready to Fly! AND The New Girl (part of the Inner Star University chapter book series) AND The Cameo Necklace a Cecile MYSTERY. 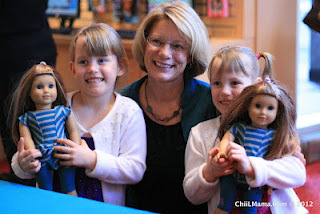 Check out the site for American Girl Place Chicago for more special events, guest appearances, Read-a-palooza events, merch and more. *If you'd like to see our prior photo filled feature on author Mary Casanova click here. About American Girl American Girl Brands is a wholly owned subsidiary of Mattel, (NASDAQ:MAT, www.mattel.com), the world’s leading toy company. Since American Girl’s inception in 1986, the company has devoted its entire business to celebrating the potential of girls ages 3 to 12. American Girl encourages girls to dream, to grow, to aspire, to create, and to imagine through a wide range of engaging and insightful books, age-appropriate and educational products, and unforgettable experiences. In meeting its mission with a vigilant eye toward quality and service, American Girl has earned the loyal following of millions of girls and the praise and trust of parents and educators. To learn more about American Girl or to request a free catalogue, call 1-800-845-0005, or visit www.americangirl.com. Save the Children's U.S. Programs work to break the cycle of poverty and improve the lives of children by ensuring they have the resources they need—access to a quality education, healthy foods, and opportunities to grow and develop in a nurturing environment. When disasters like hurricanes and wildfires strike, Save the Children is among the first on the ground ensuring the needs of children are being met. Save the Children’s early childhood education, literacy, physical activity and nutrition, and emergency response programs reached more than 147,000 children and families in the United States last year alone. For more information click here. *Disclaimer: Many thanks to American Girl and Mattel for providing the books for the give away and review copies for us.